The holiday season is a time of celebration, but it also has the tendency to get a bit stressful. It depends on what your life is like. For some people, the early darkness of winter is a depressing factor — after all, there are those of us who get off work after the sun has already come and gone. For others, depending on their faith, the gift-giving part of the winter holidays can lean on the frustrating side. Holiday shopping isn’t famous for being straightforward. Then there’s the issue of family. Again, depending on who you are, you may or may not be cringing at the thought of spending quality time with your loved ones. But many families, particularly those involving separated parents, the holiday season is often the tensest part of the year. If this sentiment rings true to you, you probably know what I’m getting at: holiday visitation. Or, as Tennessee state law calls it, parenting time. Tennessee courts require permanent parenting plans for good reason. Without laying down specific ground rules regarding child custody and visitation schedules, divorced parents run the great and terrible risk of encountering awkward and important problems down the road — for example, the holidays. Parenting plans aren’t supposed to be vague. They are most effective when they account for as many potential circumstances as possible, with clear and indisputable language. In other words, phrases like “parties shall arrange visitation terms as their schedules require” aren’t going to cut it. Because when the holidays roll around, like they are now, the likelihood of problems surfacing are much higher without an established plan of action. No more wasting time — if there are custody issues or parenting plan details that need to be worked out in court, you’ve got to get that ball rolling now. If you aren’t sure whether or not court involvement is required to make necessary arrangements for holiday visitation, pick up that phone and give your lawyer a call. Communicate with your ex-spouse. Make sure you’re both on the same page, because if you’re not, any disagreements or misunderstandings should be dealt with sooner rather than later. Wouldn’t it just be peachy if you went to pick up your children only to be told by their other parent that they’re not going anywhere with you? Nip these possibilities in the bud before they become problems. Don’t turn the holidays into a competition between you and your ex-spouse. Talk about what gifts you’re each planning on giving to your children before you do any shopping. That way, you won’t end up buying the same things, and you can ensure that the gifts you do end up getting don’t come off as an attempt to one-up your ex. If, for whatever reason, your children wind up spending this holiday season with their other parent, don’t waste time brooding over it. Make plans for yourself, enjoy good cheer to the best of your ability, and look ahead to next year — if your current arrangements for holiday visitation aren’t satisfactory, think of the changes necessary to make next year’s holidays better for everybody involved. Always make sure that everything you and your ex-spouse do is in the best interested of the children. Talk to your kids. 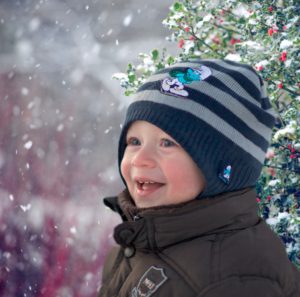 Find out what you can do to make the holidays as enjoyable as possible for them. While it might not be possible to eliminate all the holiday stress from your life, you can still be available to your kids and take action toward making their experience as stress-free as possible. Every situation is different. It might be that your holiday visitation issues have nothing to do with any of these tips, in which case it’s especially crucial that you contact your lawyer as soon as possible. Figure out what needs to be figured out, embrace a productive mindset, and make this holiday season as happy as conceivably possible.